Relatives of ten Chinese top political figures have been found to hold offshore companies, according to the latest report on the leaked Panama Papers. Of the ten, at least seven are either Hong Kong residents, have bought properties in Hong Kong or have business ties to the city. Offshore companies incorporated at the China and Hong Kong offices of Panamanian law firm Mossack Fonseca accounted for 29 percent of its global active companies, according to the International Consortium of Investigative Journalists (ICIJ). The ICIJ coordinated the investigation into the 11.5 million leaked documents – some of the information was published on Monday. An ICIJ report published on Wednesday revealed more details of the relatives holding offshore companies. Identity documents from the Panama Papers. Clockwise from top left: Patrick Henri Devillers, Jia Liqing, Hu Dehua, Deng Jiagui and Li Xiaolin. Photo: ICIJ. The Chinese president Xi Jinping’s brother-in-law, Deng Jiagui, acquired three offshore firms via Mossack Fonseca. 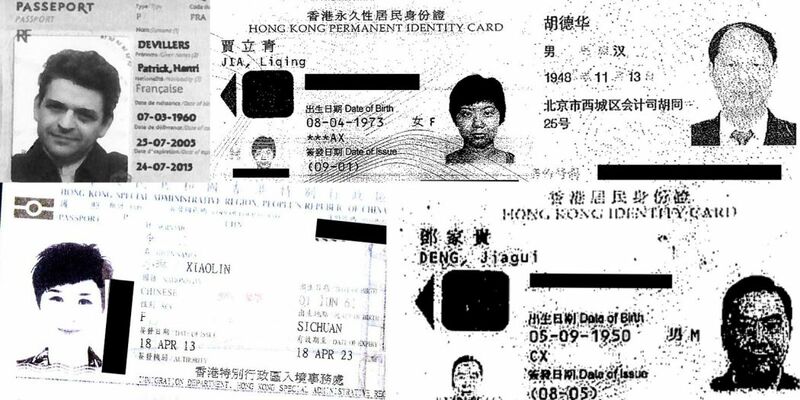 Deng had a Hong Kong identity card – though not holding permanent residency at the time – and was registered to an address in Lockhart House in Wan Chai, according to the documents. Zhang Gaoli, a current Politburo Standing Committee member, has a son-in-law named Lee Shing Put who was a shareholder of three companies incorporated in the British Virgin Islands (BVI). Lee is from Hong Kong; he reportedly grew up in Sheung Shui, and completed a business degree at the Hong Kong University of Science and Technology. Liu Yunshan, also a current Politburo Standing Committee member, has a daughter-in-law named Jia Liqing, who was the director and shareholder of a company incorporated in the BVI. Jia is a Hong Kong permanent resident, according to the documents. Li Peng, a former premier of China, has a daughter called Li Xiaolin. The ICIJ report said she and her husband were the “real owners” of an offshore company incorporated in the BVI. 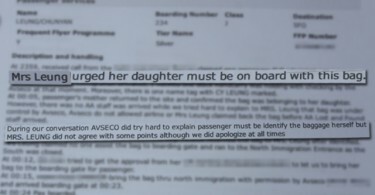 A copy of Li Xiaolin’s Hong Kong passport was in the documents. Opus Hong Kong. Photo: Opus Hong Kong. Jia Qinglin, former Politburo Standing Committee member, has a granddaughter, Jasmine Li, who owned two offshore companies incorporated in the BVI. 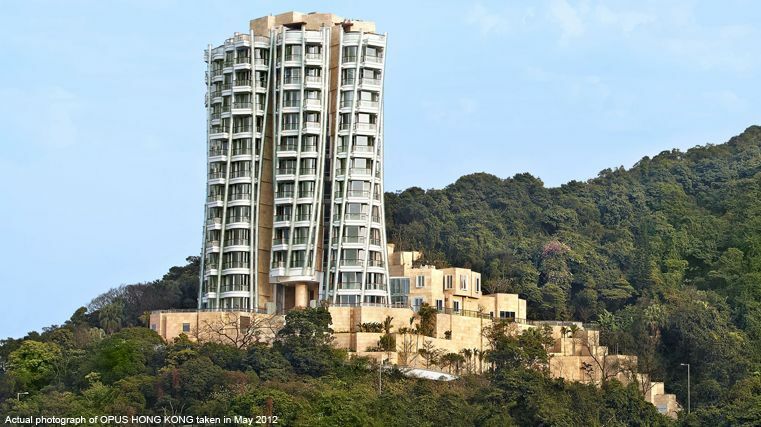 Li – a Hong Kong resident – and her father were last month registered as directors of a Zhaode Health Holdings Co. Limited in Hong Kong; Li also bought a 5,132 square foot luxury flat in Opus Hong Kong on the Peak for HK$387,000,000 last November, both according to public records. Zeng Qinghong, former vice president of China, has a brother named Zeng Qinghuai, who was the director of an offshore company which was first incorporated in Niue and then re-domiciled in 2006 in Samoa. Zeng Qinghuai moved to Hong Kong as a special envoy of China’s Culture Ministry in the 1990s. Tian Jiyun, former vice-premier and politburo member, has a son named Tian Chenggang, who sat on the board of Zeng’s offshore company, the Guardian reported. In 2012, Tian Chenggang unsuccessfully sued Beijing Henderson Properties, a company related to Hong Kong’s Henderson Land Development. The Hong Kong court heard that Tian and his father had lobbied Chinese regulators on behalf of Henderson for leniency in an investigation of the company, which was successful, but Tian was then not satisfied with the compensation he received. A banner of the ICIJ investigation on Panama Papers. Photo: ICIJ. Hu Yaobang, who was head of the Chinese Communist Party until he was ousted in 1987, has a son named Hu Dehua who was owner of a BVI offshore company. Hu Dehua registered the company using his home address, where his father lived when he was the party chief. Mao Zedong, who was leader of China from 1949 to his death in 1976, had a grandson-in-law, Chen Dongsheng, who incorporated a BVI company. Patrick Henri Devillers, a business associate of the wife of imprisoned former Chongqing Party chief Bo Xilai also has an offshore company incorporated in the BVI. It is not illegal for Chinese citizens to open offshore accounts or own offshore companies, but the Communist Party’s constitution bans party officials and family members from profiting from their positions. The ICIJ’s reports did not elucidate the usage of the offshore companies, only listing documents and addresses showing ties to the people involved, and noting that there are legitimate uses for offshore companies.